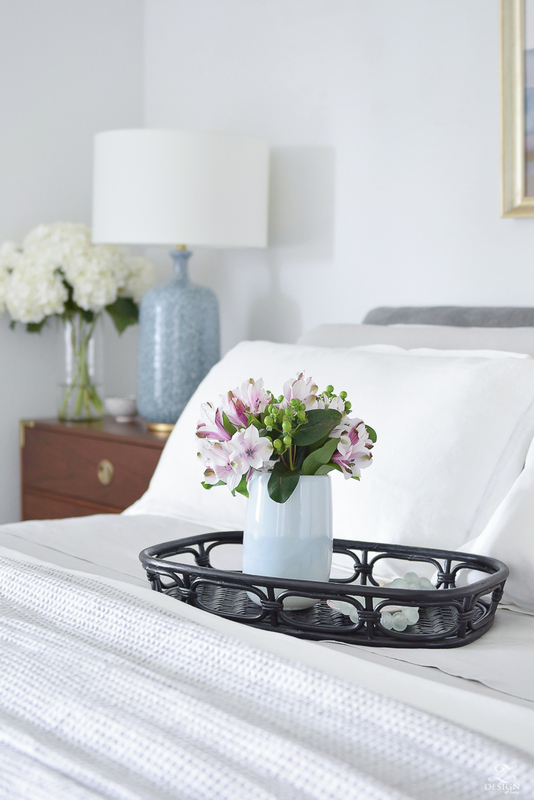 Breezy, light, and laid-back ~ linen bedding embodies everything great about the summer season! 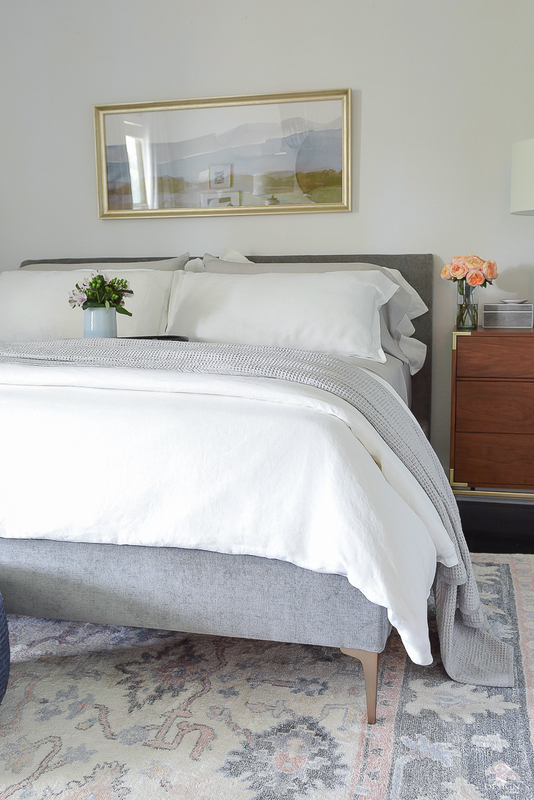 Linen is ultra breathable and when from my favorite bedding company, Boll & Branch is made of pure European flax witch adds an amazing quality to it. It’s especially nice since they garment wash it, giving it a softer feel than other linens and it gets softer with time. This post is sponsored by Boll & Branch however, as always, all opinions are 100% my own. Read my full disclosure policy here. 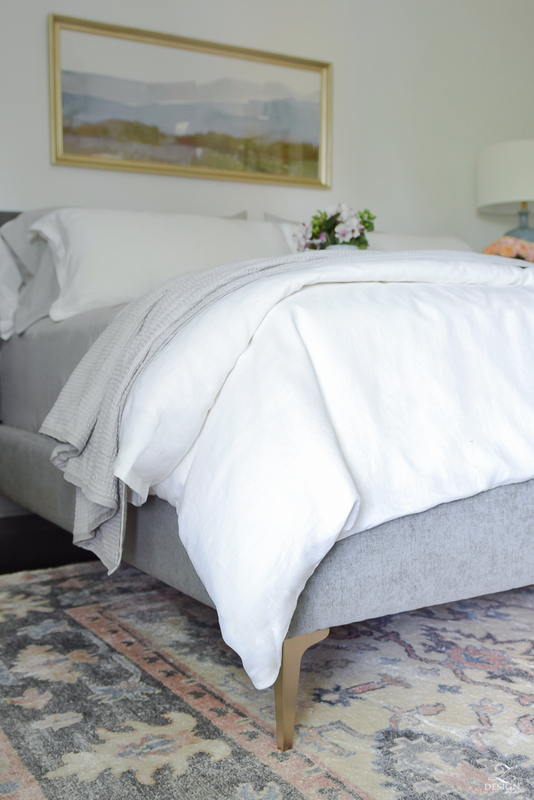 I am always on the hunt for the best bedding but truly never have to look far as I always know my absolute favorite bedding company can meet all of my bedding desires with their incredible organic fabrics and beautiful designs. 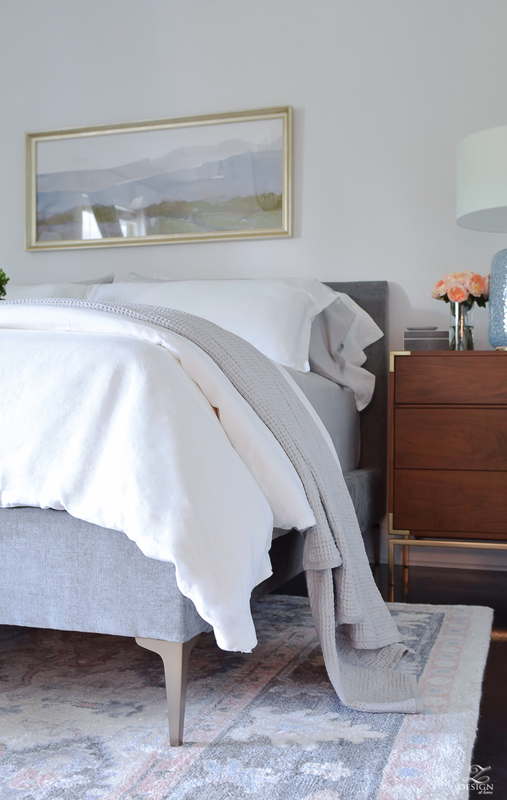 So, when Boll & Branch asked to partner with me for the launch of their brand new linen bedding collection I couldn’t have been more excited, especially with summer right around the corner since linen has a unique quality in that it helps to keep you cooler in the summer (and warmer in the winter). You may have seen where I also used their basketweave quilt and shams in my One Room Challenge reveal that was recently completed. And here where I used their banded duvet cover, shams and sheet set last year. 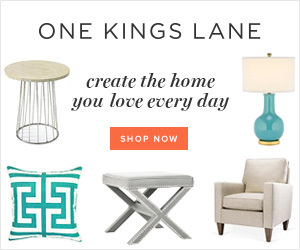 Needless to say I’m a huge fan and I look forward to sharing their new linen line with you today! 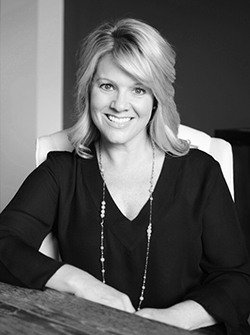 I find linen to be soothing to the soul with it’s breathability properties, durability and incredibly soft fibers. This special fabric has been used for thousands of years and there is good reason for it! 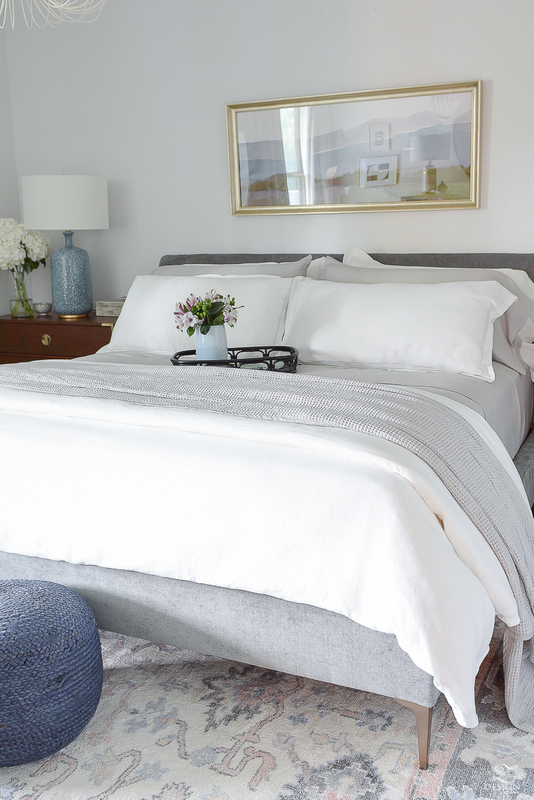 When milled properly it can envelope you in restful sleep like no other and make you feel as though you are the queen (or king) of your castle! 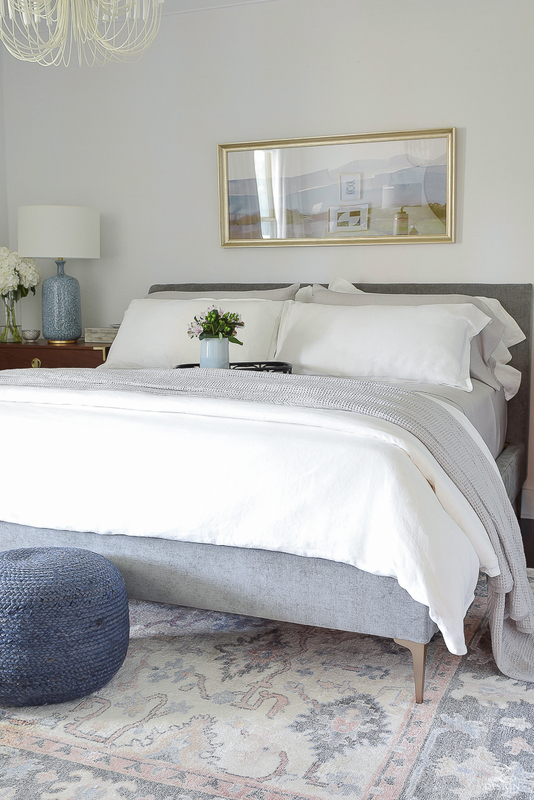 For my bedding ensemble this summer I am pairing the linen sheet set and duvet set with their pewter waffle blanket. I have this blanket in two colors now (I also have it in white) and it is quite arguably the softest and coziest blanket I have ever owned! I’m known to begin counting sheep at night with the biggest smile on my face as I wrap this blanket up around my shoulders and face. Needless to say I’m a bit spoiled in the bedding department these day but it’s hard to express how important quality bedding can aid in a good nights sleep, and I whole-heartedly believe it’s worth every penny of the investment to you and your mate! 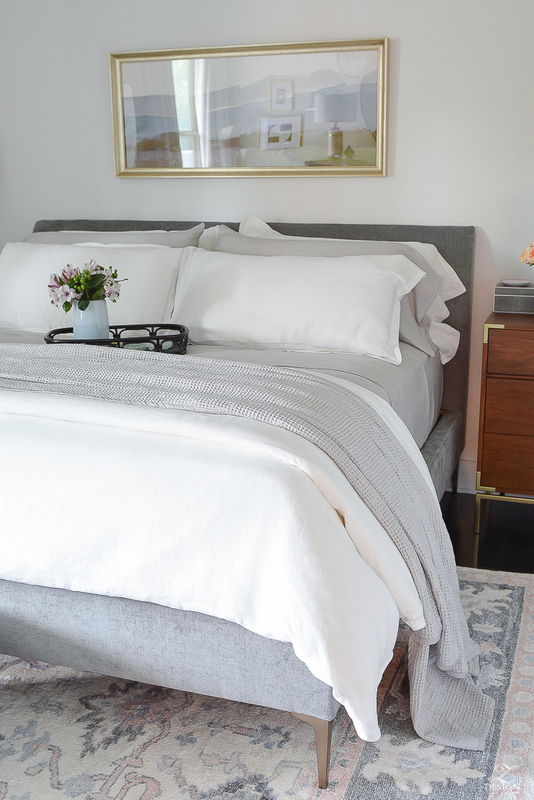 Boll & Branch’s linen is intentionally designed to be softer than typical linen fabric because they garment wash their linen to give it a softer texture that only gets softer with time – just like their signature soft sheets. 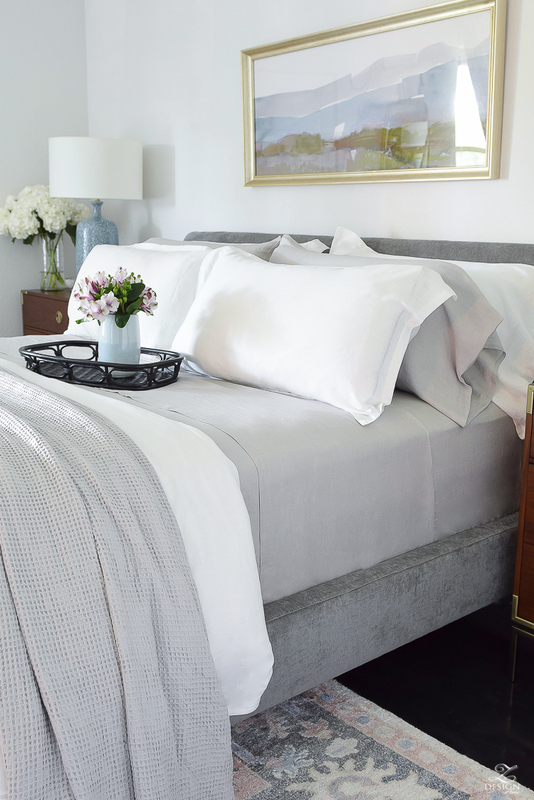 I chose to go with the pewter color sheet set (which is the softest shade of light to medium gray) but their linen sheets are available in 3 colors (white is next on my list:). 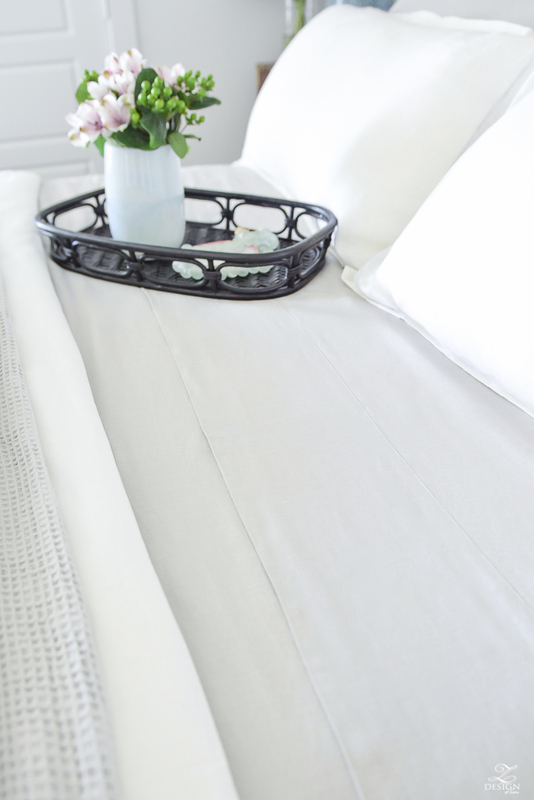 The duvet set, which includes the duvet and pillow shams currently comes in the softest, prettiest shade of white which is the perfect foundation and backdrop for anything else you might want to do with your bedding. I really appreciate the soft drape of the linen that makes my room and my bed feel so amazing to snuggle into at night! And layering multiple linen pillows can only enhance that experience each evening as I climb into bed. Another thing I really love about Boll & Branch and want to point out before I close today is that they always go a step further by tracing back to the origin of their cotton, so you and your family feel confident knowing their products are authentic, pure and chemical-free. 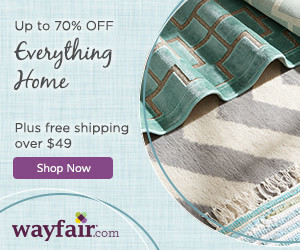 Additionally, their products are made with respect for human and environmental resources to provide you with the finest Fair Trade bedding products available today. I hope you will explore the Boll & Branch line of linen bedding here, and consider it for your summer (or any time of year) bedding. 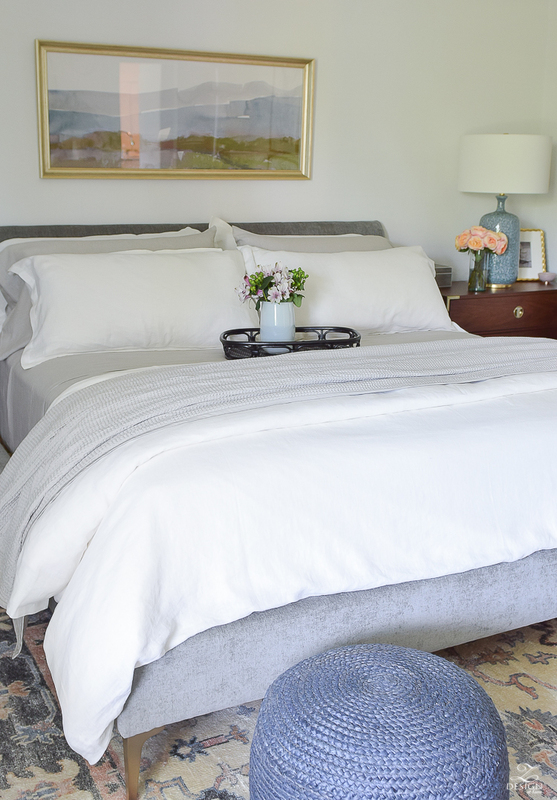 There is nothing more fabulous in the bedroom than the luxury and softness of quality linen and I know you will enjoy snuggling into summer this year with the best breezy, relaxed linen bedding just as I have! 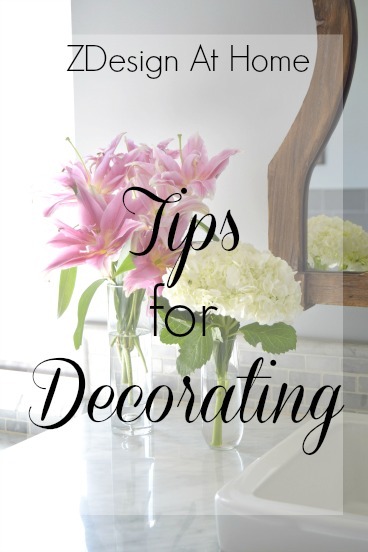 What a fresh and beautiful look in your new bedroom. 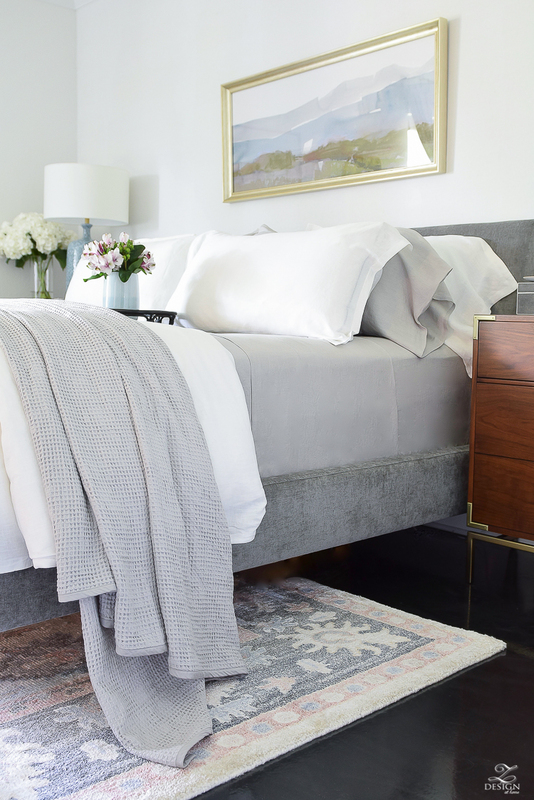 The pewter color you chose is so perfect in your bedroom. 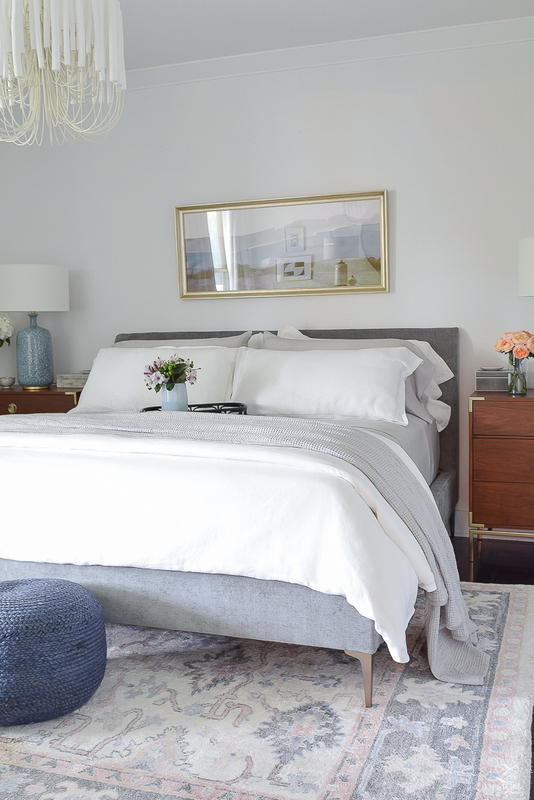 I love that fabulous textured blanket hanging over the side of your bed. Such a great new look for summer!! !